Talk of PDF (portable document files) software and the first name that crosses our mind is Adobe Acrobat. This is one of the many software that is a must-have for all desktop and laptops these days. Creating PDFs, editing, and even sharing them is a breeze with this software. While this software is undoubtedly one of the best PDF software around, it is still not affordable for many due to it’s high price tag. Moreover, it’s quite complex for the first timers. Considering the high price and complexity, there are many who look for easy and cheaper alternatives to Adobe Acrobat. Fortunately, there are many alternatives available for the Acrobat that helps people edit PDFs at a much cheaper price. There are umpteen such PDF software available online and each of one of them claim to be the best. So, to clear your confusion, we have created this list of the best Adobe Acrobat alternative for PDF that can will help you to choose the one that suits you the best. Sumatra PDF is a trimmed down, open source and free software that supports a whole lot of other formats also along with PDF such as DjVu, EPUB, XPS, CHM, CBR, CBZ, MOBI for Windows. It emphasizes on simplicity and minimalistic design more than having a lot of features. Designed for portable use, it comes with just a single file with no external support that helps it to work via the external USB drive. 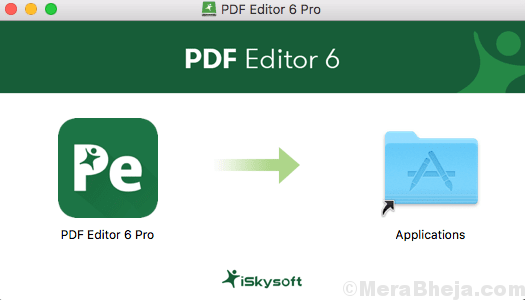 iSkysoft helps you to convert PDF files into Word files, Excel, HTML, PPT, EPUB, photos and more. What we like about this software is the interface which is easy to use making it effortless even for the beginners. Within a few minutes, you will be an expert in editing and altering PDFs. It also comes with a bonus feature named Redaction. This helps redact/edit texts and images in PDF files and can even allow you to limit access. Using this feature, you can block private information on PDF files from unwanted access. 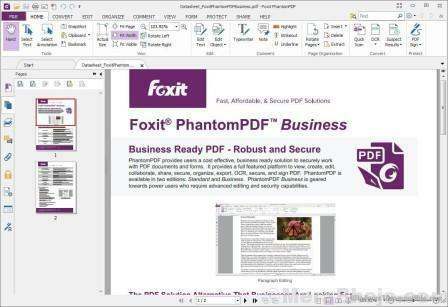 Also known as the PhantomPDF, it’s available in business, standard, and education versions. It’s a free and lightweight, cross platform PDF document viewer that suits the need for business, consumer, government agencies and even educational organizations. It’s a compact yet super-fast software that helps you to open, view, sign and get a print of any PDF file. What’s interesting is that it’s the only PDF reader that offers a full creation solution in high volume while offering the PDF creation facility for all desktops. What’s more? It also comes with a complete protection against any security concerns, helping to keep your system safe. Nitro PDF is a lot similar to the Acrobat PDF reader and is perhaps one of the best alternatives to Adobe Acrobat. It allows you not just to create PDF, but also to add, shuffle, and delete pages. You can also create bookmarks and links helping you fill forms. Bonus – it allows you to add comments and different other markup options to the documents. You can even secure your PDF using a digital id. Once installed, this software adds a PDF printer to the printers list in the PC automatically thereby, making the PDF creation as easy as printing a file. Nitro comes equipped with some of the pro features that are available only in the paid version of Acrobat. It’s an easy to use and easy to understand software especially for the people familiar with MS Office. Supported Platforms: Windows 10, 8.1, 7, XP. Evince document viewer is especially targeted for GNOME, however, it’s also available for Windows 10. While it allows to create PDF, it also supports multiple document formats like DVI, PostScript, djvu, TIFF, XPS, cbr, cbz, and more. The aim is to change the document viewers on the GNOME desktop to only one application. Some of its great features are the capability of displaying, adding, and editing PDF annotations. The software is primarily written in C++ and it’s USP is its interface which is clean and clutter-free. Bonus – you can also customize the toolbar with individual tools. If you are a looking for aa premium alternative to Acrobat reader then, Wondershare PDFelement can be your choice. It’s a feature packed software boasting multiple features on a single platform. PDF viewing, editing, and printing are some of the usual features to name a few. What’s interesting is that it these features are integrated with advanced features like PDF creation, conversion, and making the documents searchable using OCR. It also allows you to work on forms and templates within the software. Among its many advantages are, different editing modes helping you to edit PDF documents easily, offering OCR function in over 20 languages enabling edit scanned PDF, and getting data from multiple duplicate PDF forms into one Excel sheet and making it accessible in seconds. ApowerPDF is equipped with all the must-have features of a reliable PDF editor. You can use this software to create or modify any already existing PDF files or forms. It also allows you to manage PDF pages and so, you can remove, extract, crop, or even rotate a certain section of the PDF document. Bonus – it allows users to add passwords and signature PDF file thus, securing the document. Moreover, it comes with OCR technology that allows each user to edit any PDF that’s been scanned and is photo based. 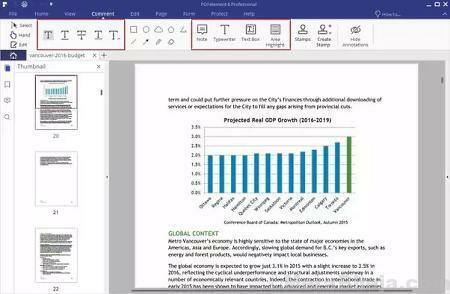 Not just that, it also allows you to change a document into an editable version in formats like Word, Excel, and PowerPoint. If you are looking for an affordable alternative to Acrobat Adobe then PDF Architect can be your best bet. Although it lacks the user-friendly approach and some advanced features, it’s still a good option for those with a budget. This helps you create PDF, edit and even convert the files. Given that it’s an economical software, you can purchase the products that you would use most often. You have to download and install the software on your desktop. It can then combine with multiple cloud services that allows you to access files from different location over the cloud. 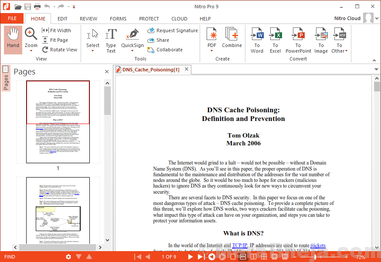 Also known as PDF-Xchange Editor, it allows you to view PDFs and even annotate them. best part is, you can also add text to your PDF file, sticky notes and other types of annotations and then save them to the file. This saved file works with the standard version of Adobe Acrobat Reader. As a bonus, it also helps you convert those PDF files that are non-text searchable to text-searchable. PDF Studio is an easy to use software and a great alternative to Adobe Acrobat that’s priced half of the Adobe PDF. It offers all the required features of a good PDF application, while it meets the compliance standards of the PDF document. Among its features are annotation of PDF, apart from being able to create PDFs out of Word documents, texts and images. It also supports document format in the form of Google Drive SharePoint. PDFescape Desktop is another alternative to Adobe Acrobat that offers some of the features identical to Acrobat. For instance, the ability to add, modify, remove, and crop the PDF pages. As a bonus, it also offers security for your PDF contents by allowing you to password lock the file. You can also change the information tag of the PDF and use scanned signature to sign the PDF files. If you just want to do some basic modifications within the PDF file, this software is perfect for you. For the desktop version, you need to upgrade to the premium version and then use the services. A universal document viewer, Okular is designed by KDE. This software works with all platforms making it easier for you to convert PDF files on any OS. It features some excellent functionalities while supporting multiple document formats for example, PDF, ePub, CHM, Postscript, XPS, DjVu, and more. Supported Platforms: Linux, Windows, Mac OS X, *BSD, etc. PDFpen is a PDF editor that’s for the Mac OS users. It offers fundamental features of a PDF editor that includes functionalities like modifying typo errors in text documents, adding images, signatures, and texts. It also supports OCR technology that helps users to transform images into editable text document. This one is again especially for the Mac users. which is a lot identical to Adobe Acrobat. Preview is a PDF editor that’s developed for the convenience of Mac users and is perfect for creating and editing new PDF documents. This program allows you to modify several different sections of a PDF text and even crop at the same time. You can even label different pages together. The functions are fast and easy to use that makes it an able substitute of Acrobat. PDF Viewer by Firefox is the latest ground-breaking tool that utilizes web-based technologies. This allows you to display nearly all PDF files found on the web within Mozilla Firebox web browser without the need of any plugin. 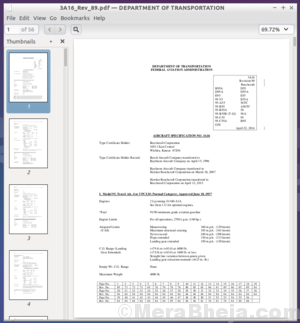 MuPDF is a light PDF and XPS viewer with no frills. It comes with absolutely no frills means there is no need of editing, skip to pages, or printing, and best of all, there’s not even an interface! All you need to do is to double click the mupdf.exe and search for the file you want to open. You can simply scroll or navigate from page to page using the arrow key. While having no feature usual features of a regular ODF editor is indeed a setback for many, but in a market where the primary focus is on loads of features, MuPDF does stand out with its minimalistic approach. While there are many more alternatives to Adobe Acrobat out there in the online market with the features like creating, modifying and sharing PDF files, there are only few that stand out in the competition with some distinctive features. So, choose your program based on your requirement and create great PDFs. Thanks for this list. Some of the software you list is just an alternative to Adobe Reader and some of it goes a little further into Adobe Acrobat territory. Could I suggest you highlight the difference between Adobe Reader and Adobe Acrobat?